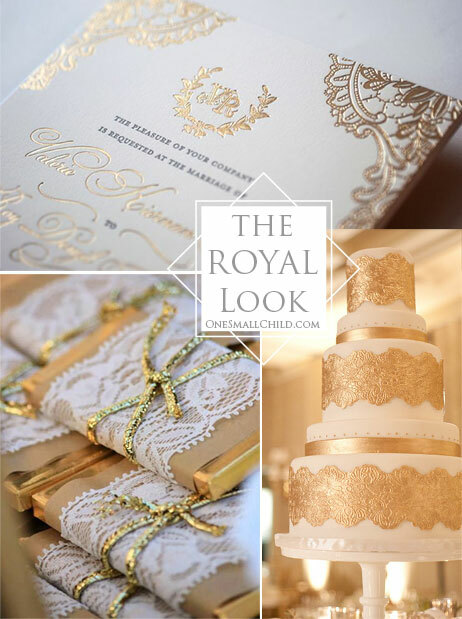 Royal Inspired Christening… Who doesn’t love the lavish look for such a special celebration? Invite your guests in style with a gold leaf embossed invitation. Ornate lace details and a beautiful crest add to the royal effect. 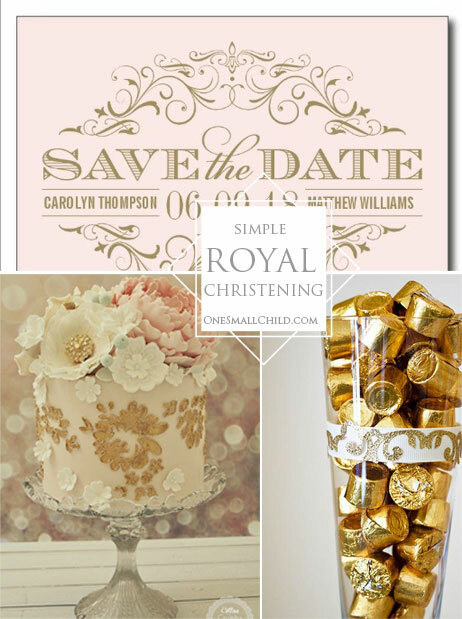 Treat your guests to a five-tiered gold and white christening cake. Pretty lace fondant will taste as wonderful as it appears. Send them off with a fabulously re-decorated chocolate bar favor-with gold wrapping, of course! 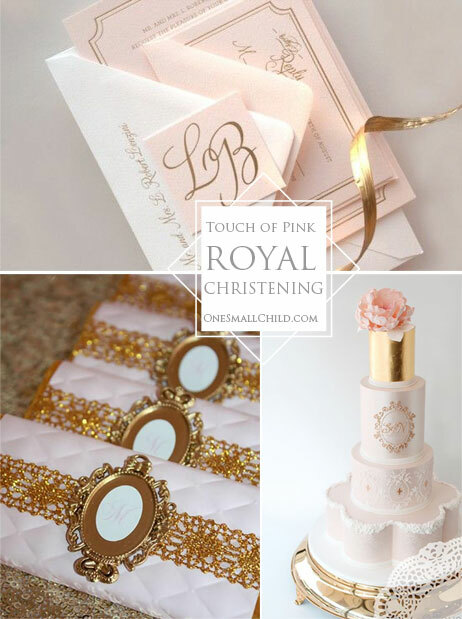 A Touch of Pink… Throw her a Christening party worthy of the little princess she is! 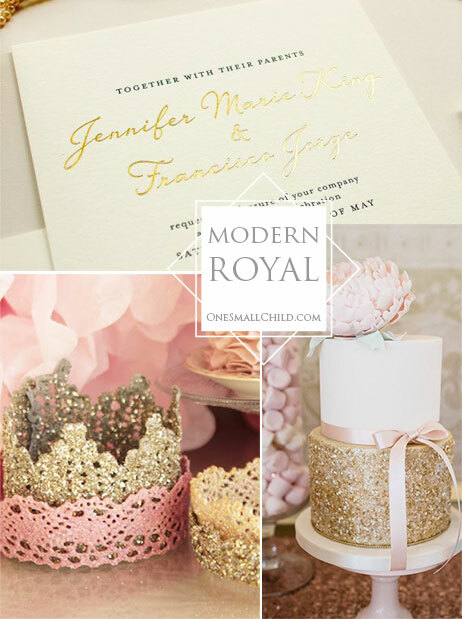 Pale pink and sparkling gold detailing grace these invitations. Each layer of this fabulous cake offers its own unique decoration-each precious and princess appropriate. Favor your guests with a princess inspired re-decorated chocolate bar. So adorable! 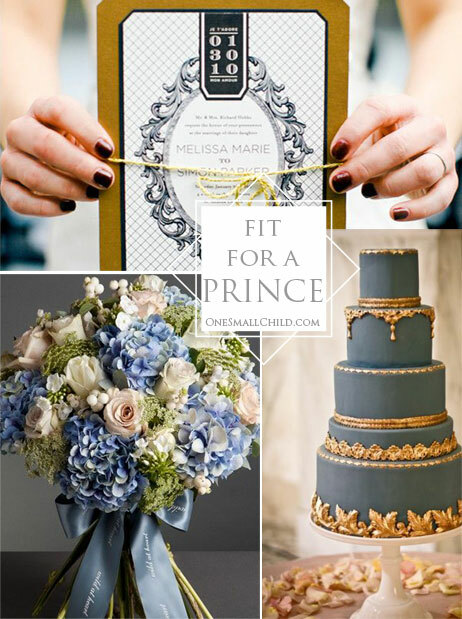 Fit For A Prince… We love a dark blue with gold! Subtle navy pinstripes offer a masculine touch to a classy invitation. Simple gold scrollwork accentuate this rich blue cake. Isn’t it stunning?! A Modern Twist… Love the royal feel, but not crazy about all the frills? A simple gold-lettered invitation will feel rich, but modern. Go for a glittery gold and white color-block cake. Dare to be different! Favor your guests with hand-made lace crowns. The little girls will love prancing around pretending to be princesses! The Look, But Less… Short on time or money? Send a postcard invitation with a royal essence. Favor your guests with a buffet of gold-wrapped candies in ornate apothecary jars. Rolos, Hershey’s nuggets and Ferro Rochers are conveniently ready to go! Opt for a simple one-tier cake that’s beautifully decorated and supplement with a sheet cake. You’ll get the grand effect without the cost.